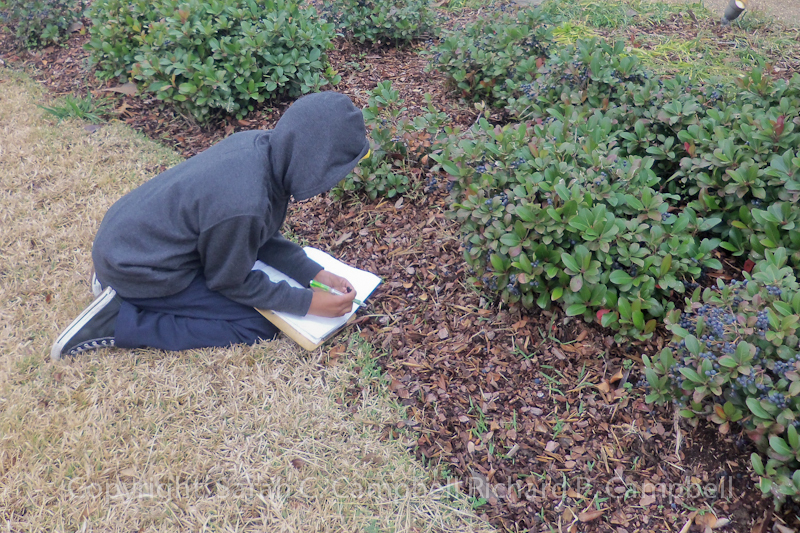 I went out on a nature journaling expedition with Davis Magnet School fourth graders yesterday. Several kids in each class noticed this. One sketched it. Another called me over. We wondered what on earth it was. Another fourth grader noticed this one. We were in the Mississippi Museum of Art‘s Art Garden, gathering information for our series of Davis Field Guides to the Art Garden. The students had clipboards, “instant book” journals (see my post), and pencils. 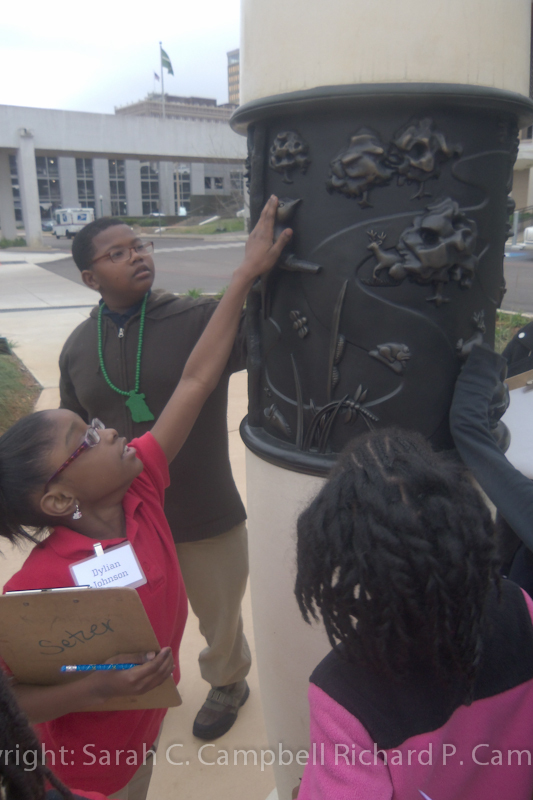 Next week, the fourth graders will be back in the garden with clipboards, journals, pencils, cameras, and a set of published field guides for reference (we’re using Kaufman field guides to birds, insects, butterflies, and an Alabama and Mississippi Gardener’s Guide co-authored by Felder Rushing). 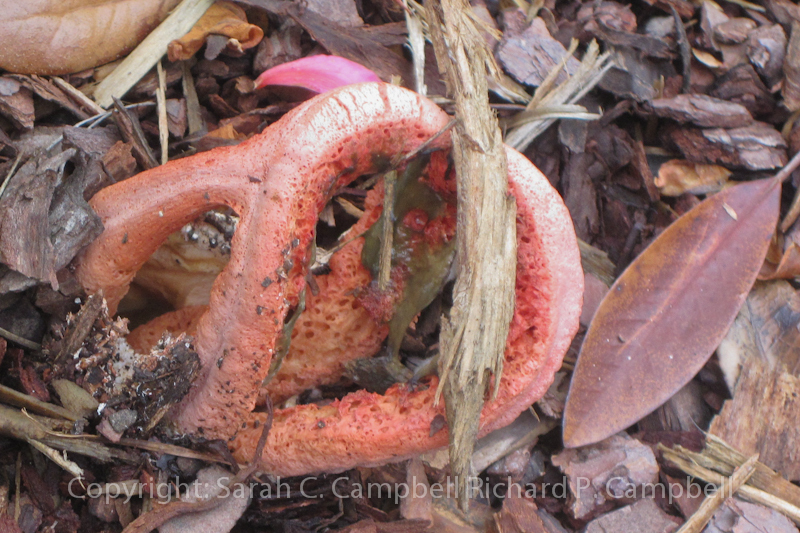 After Wednesday’s session, I went over to Eudora Welty Library and checked out two visual field guides to mushrooms, which I sent to Davis this morning with one of my neighbors who teaches there. So, I know what is in the two photographs above, but I am counting on the fourth graders to find out for themselves. 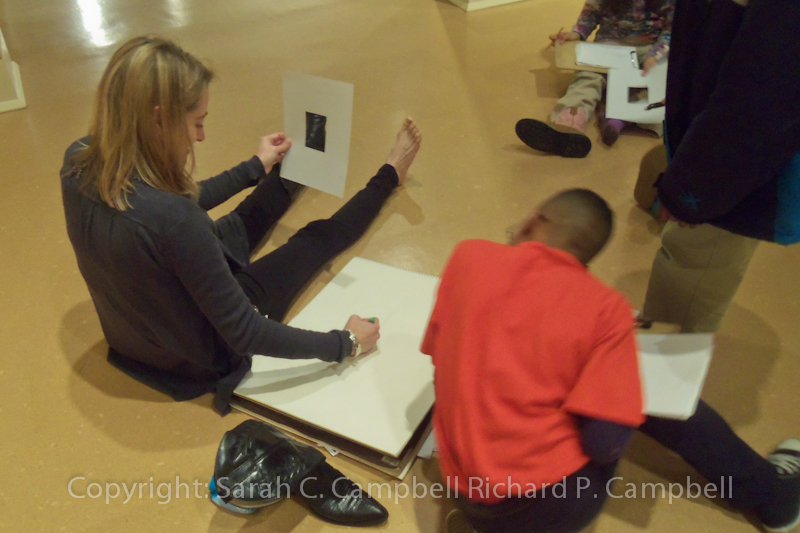 In addition to journaling with me in the garden, the fourth graders had a guided tour of the Mississippi Story with Elizabeth Williams, curator of education, and a drawing lesson with Carol Cox Peaster, the art garden coordinator. 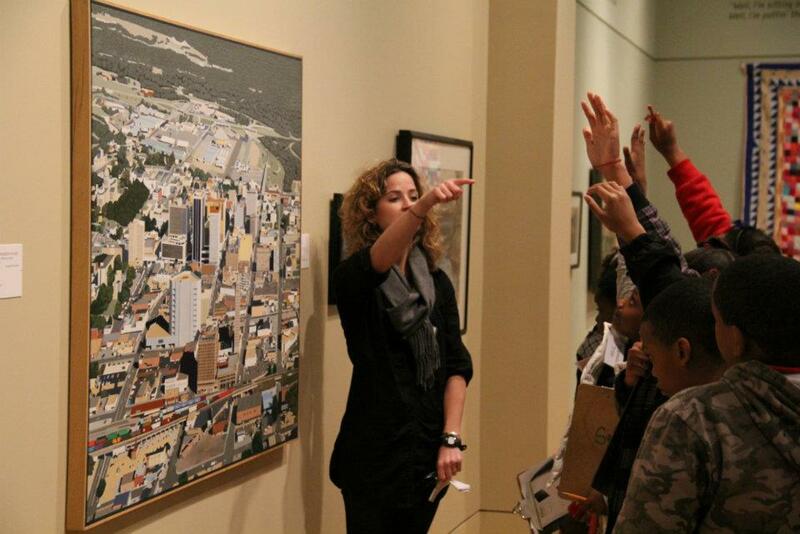 Specifically, Williams talked with students about Bill Dunlap’s Flat Out Dog Trot and Carol Cole’s Jackson, MS as examples of landscapes and cityscapes. 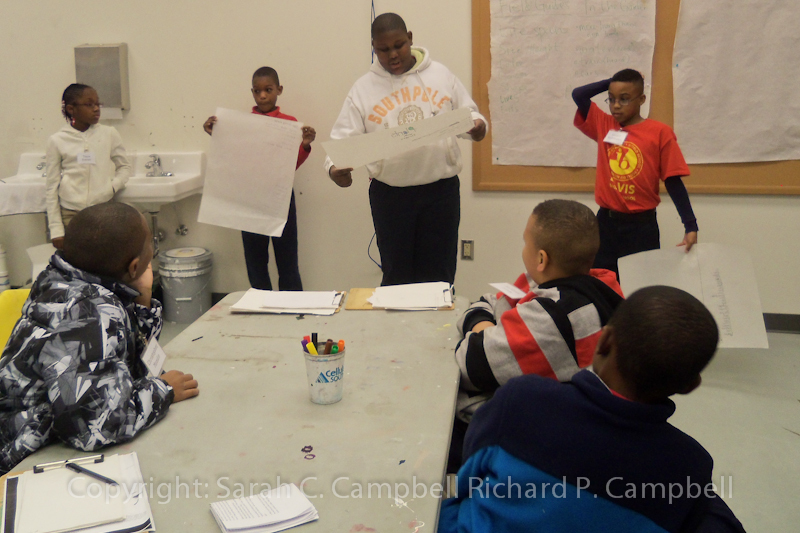 Here is Peaster teaching the drawing class. Ivy Alley, curator of education, docents and volunteers at the museum, led a tour of the art in the Art Garden. 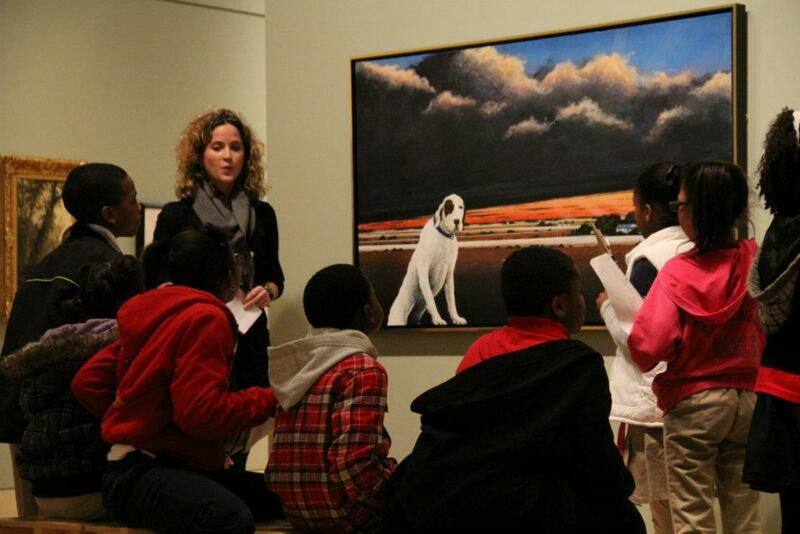 During our last sesion at the museum, the fourth graders brainstormed about the topics they might choose for their Davis Field Guides to the Art Garden. Thank you, Beth West, Davis’ IB Coordinator, and Kacy Hellings, Davis’ Librarian, and Julian Rankin, the museum’s public relations coordinator for taking photographs. You can see Rankin’s Facebook album of images here. Thank you, fourth grade teachers, Jalesha Cross and Jordan Gunther, for guiding students; and two parents who came along as chaperones. We are grateful for the help. 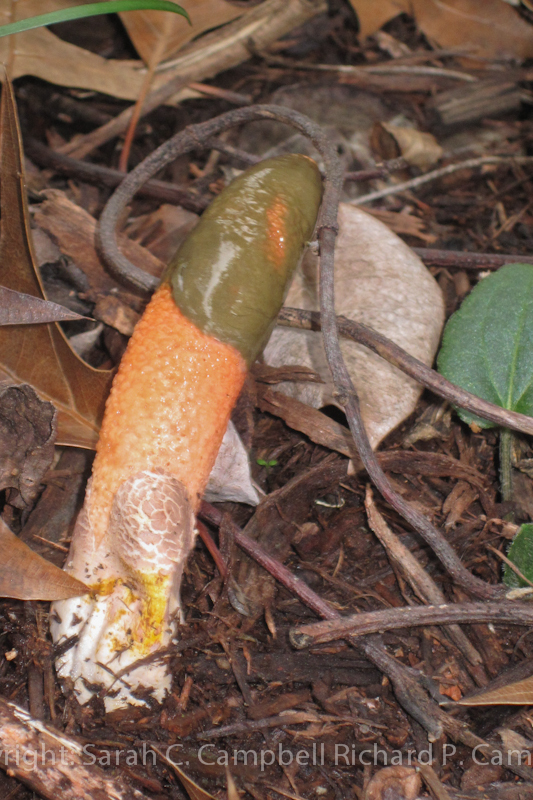 I love the “new fungi” and the kids with their clip boards and energy–hoe today’s visit to the garden went well.